Zombiepalooza Giveaway – Halloween Care Package from Imogen Rose! Today’s Zombiepalooza giveaway is courtesy of Imogen Rose, who has created a fantastic Halloween care package. 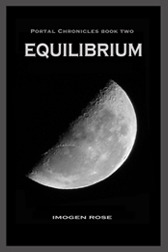 Imogen is the author of the Portal chronicles, and her package includes signed paperbacks of the first two books in the chronicles – Portal and Equilibrium, as well as a few other goodies that I’ll just leave as a surprise. Six words that propelled ice hockey playing tomboy, Arizona, into an alternate dimension. In one moment, she went from being a varsity hockey player in New Jersey to a glamorous cheerleader in California. She found herself with a new dad. She found herself in a new life. One that she had apparently lived in always. Everyone knew her as Arizona Darley, but she wasn’t. This ominous sight is just the beginning of a mystery that will span two dimensions. When California teen Arizona Darley and her siblings go missing, their mother, Dr. Olivia Darley, discovers that the time-travel portal she invented has been hijacked. Is the hijacker responsible for the disappearance of her children? Have the children been transported to another dimension? If so, the police and FBI will never be able to find them, and Olivia Darley must find a way to rescue her children on her own. How will she do this without access to the portal? Sounds like an awesome giveaway! Count me in! I would love to get this!!!!! These books seem like nothing else I’ve ever read. 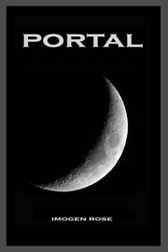 I can’t wait to at least read Portal! Thanks for the awesome giveaway!! I’ve been wanting to read these books. Count me in. I would love to read these books. Thanks for the giveaway.